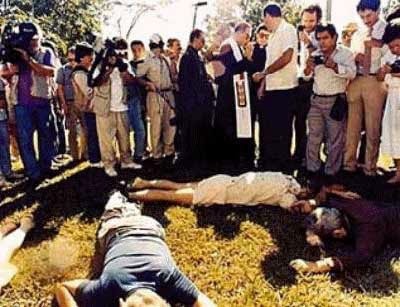 On Sunday, we will observe a tragic anniversary: it's now 25 years since a group of Salvadoran soldiers entered the University of Central America and murdered six Jesuit priests, their housekeeper and her daughter. Dragged from their beds, they were forced to lie down in their community's garden and, one by one, a bullet was put into the back of their heads. Death is the consequence of authentically bearing witness to the Gospel in a sinful world. I am wary, then, of trying to use beautiful language to speak of my brother Jesuits and their friends who died, lest I run the risk of enveloping them in rhetoric and allowing their message to slip away. Their witness speaks, not through my words, but through the silence that their assassination calls out in us. 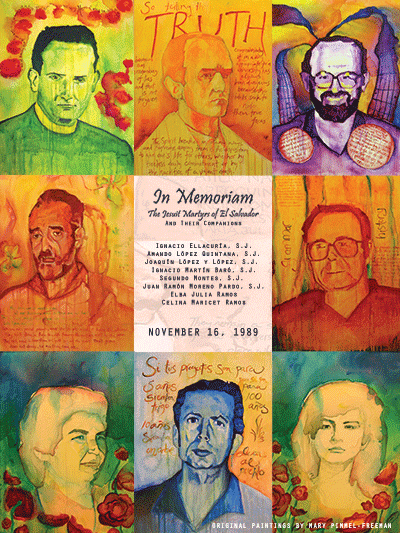 The Jesuits of El Salvador were executed for attempting to give a voice to the voiceless, for trying to empower the poor to speak against dehumanizing oppression. There is a tragic fittingness that their deaths bear mute witness to the ongoing struggle of so many in our world. As Christians, if we are disturbed by the horrific silencing of these voices, it is incumbent to ask one further question: why are we not equally disturbed by the silence of myriad voice, voices never heard? The scandal of the martyrs is not that their voices were cut short but that the those for whom they spoke, and tried to empower speech within, continue to remain unheard.